Sandals that will make your feet happy all day long. 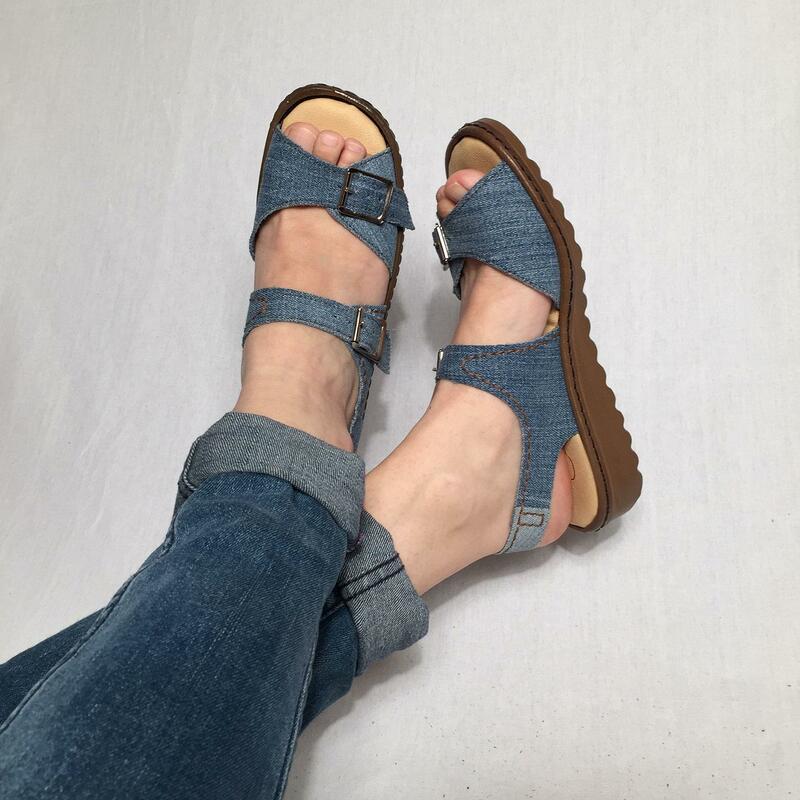 Made of recycled denim, with adjustable straps. Fitted with padded insoles and sewn on to shock absorbing soles. What better comfort to ask for. All this, and they're in fashion! Shown in bright blue denim, also available in navy, black and beige denim. You can choose the soles: beige, brown or black. 5 stars by Michelle 27.04.2017: "Really really really comfy shoes!!!! My feet feel like they are walking on pillows whilst wearing these ?? They are well made too."